White people are oppressing PoCs because they write a lot of books which “physically” take up too much “space” in our nation’s libraries and “promote and proliferate whiteness with their very existence,” according to academic librarian Sofia Leung of Massachusetts Institute of Technology. Let me now try to connect all these dots in a coherent way. As others have written (Fobazi Ettarh, Todd Honma, Gina Schlessman-Tarango, etc. ), libraries and librarians have a long history of keeping People of Color out. They continue to do so, which you can read more about here and from the others I mentioned above. Legal and societal standards revolve around whiteness and libraries are no different. According to Leung, white people’s very existence is holding POC’s down. Library collections continue to promote and proliferate whiteness with their very existence and the fact that they are physically taking up space in our libraries. They are paid for using money that was usually ill-gotten and at the cost of black and brown lives via the prison industrial complex, the spoils of war, etc. Libraries filled with mostly white collections indicates that we don’t care about what POC think, we don’t care to hear from POC themselves, we don’t consider POC to be scholars, we don’t think POC are as valuable, knowledgeable, or as important as white people. To return to the Harris quote from above, library collections and spaces have historically kept out Black, Indigenous, People of Color as they were meant to do and continue to do. One only has to look at the most recent incident at the library of my alma mater, Barnard College, where several security guards tried to kick out a Black Columbia student for being Black. 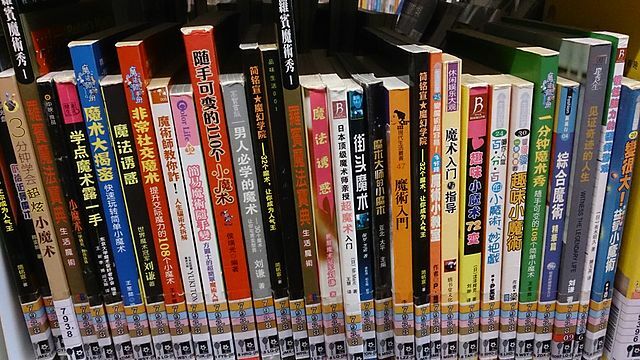 I wonder, are Chinese libraries being filled with Chinese books by Chinese authors evidence of racist hate and “Chinese supremacism”? 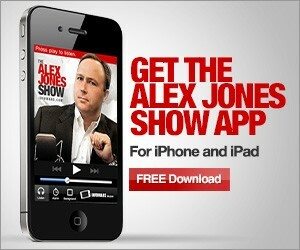 That’s the standard here, is it not? 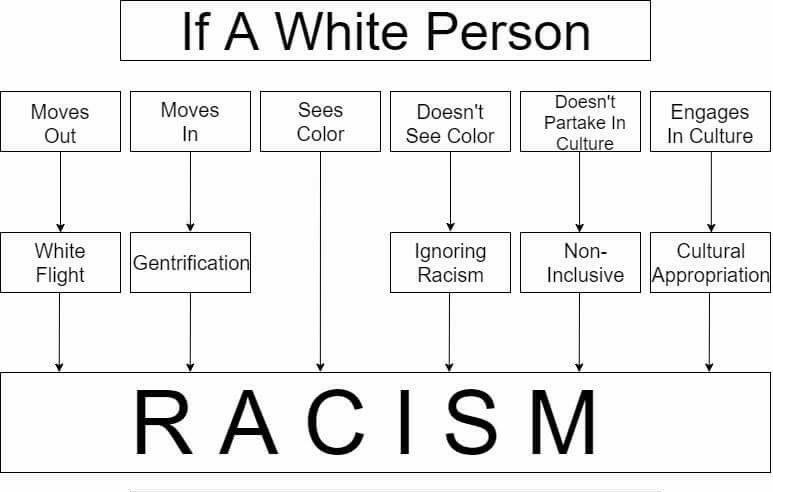 Or does this only apply to white people? 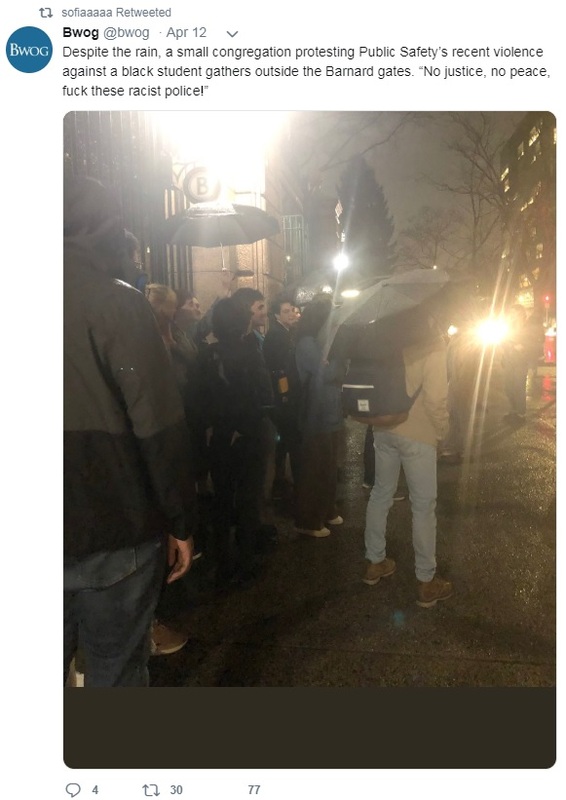 They stopped him because he refused to show his ID while entering Barnard’s main gates, as all students are required to do after 11 p.m.
Barnard Public Safety officers pinned Alexander McNab, CC ’19, against a counter after he declined to show his Columbia ID inside the Milstein Center for Teaching and Learning on Thursday night. According to McNab, who is black, officers first began to follow him into the Milstein Center when he declined to show his Columbia ID at Barnard’s main gates despite entering after 11 p.m., when students are required to show their IDs to Public Safety in order to enter campus. In an interview with Spectator, McNab said he was aware of the rule mandating students show their IDs, but expressed his frustration with what he cited as inconsistent enforcement of the rule, as he had noticed that white students were often not asked.